The exhaust system is a hard-working and essential component of the overall health and reliability of your vehicle. Read on to discover 5 things you need to know about your exhaust system. 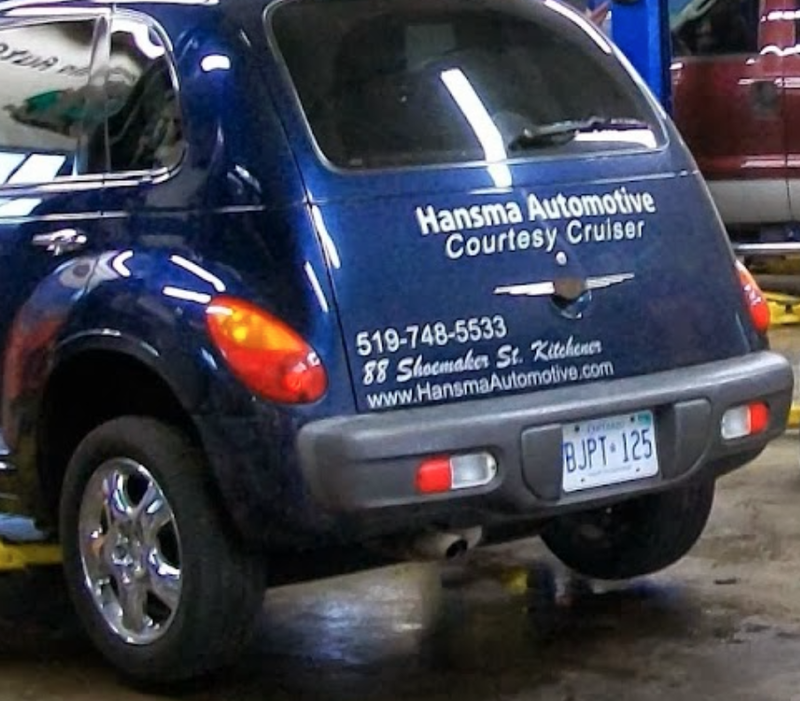 If you have an inquiry or are in need of a repair, you can trust the experts at Hansma Automotive to give you the most reliable and efficient service around. Contact Hansma today. 1. What Does Your Exhaust System Do? The exhaust system is one of the hardest working components of a vehicle. Despite the fact that the exhaust system has no moving parts, it is under extreme stress, and should be kept in excellent repair for the best possible driving experience. Generally speaking, the exhaust system is a set of piping in your vehicle that is used to guide exhaust gases away from the passenger compartment and out through one or more exhaust pipes. Cars are constantly creating carbon monoxide as a result of the internal combustion process, and that gas can be highly toxic - even deadly - when inhaled at a high rate. It also helps control engine noise, improve engine performance, and increase fuel economy. 2. Why Is the Pipe Important? The exhaust pipe is where all of the gases from the engine pass through on their way to the catalytic converter and silencer. The catalytic converter scrubs harmful toxins from the gases, making your vehicle more environmentally friendly, and the silencer quiets down the whole process to a comfortable volume. A hole in the exhaust pipe can disrupt all of these processes, as it allows exhaust fumes to escape prematurely, causing a leak in harmful toxins, increased noise, and decreased engine pressure. The exhaust pipe is where all of the gases from the engine pass through on their way to the catalytic converter and silencer. 3. How Do You Detect Problems With the Exhaust System? The simplest way to detect an issue with your exhaust system is by ear. If your vehicle suddenly starts to sound different one day - often louder or more 'harsh' - then there is likely an issue with your exhaust system. If you hear a rattling sound from beneath the vehicle, that could also indicate an exhaust problem. For more information on the sounds your vehicle could make, visit our vehicle sounds page. Other signs include a bad smell in the car and reduced gas mileage. Your ear is the best way to detect a problem with your exhaust system. 4. Is an Exhaust System Difficult to Repair? Repairs may need to be done on any of the exhaust system components in the diagram above. If caught and treated soon enough, repairing an exhaust pipe can actually be a very quick process. However, if the problem is allowed to persist, the damage will increase, and the repair could be more time and cost intensive. It is best to repair anything as soon as possible. Hansma checks your exhaust system to ensure that clamps are tight every time you visit, even for an oil change. This process helps catch many exhaust problems before they occur, but won't prevent every failure. If you do require a new exhaust system, we can help with that as well - and our mufflers come with a Lifetime Warranty. Click here to learn more. If caught and treated soon enough, repairing an exhaust pipe can actually be a very quick process. 5. Who Should You Trust to Work On an Exhaust System? Finding trustworthy, reliable, and affordable vehicle care can be a tricky proposition, but it's entirely possible. Do some research online, read customer reviews, ask around to find the best possible service in your area. For more, read our article on How Can An Automotive Service Technician Help You? Google reviews are a great way to find the best possible service for your exhaust system. At Hansma, we offer service with a difference. We have worked hard to gain a reputation for honesty and quality work. Trust the professionals at Hansma to only recommend and carry out the repairs that you actually need. We will let you know what you need done and when it should be done. Our customers have come to consider us as their mechanic friend. And as your mechanic friend, we promise to give you top-notch service at reasonable and competitive rates. As a Tech-Net professional auto repair facility, Hansma Automotive is committed to serving you, our customer, with professional auto service repair at a reasonable cost. We use quality CARQUEST auto parts, guaranteed coast to coast. We stand on sound business principles and uphold high ethical standards. Our goal is to make your automotive repair experience friendly and successful. Click here to meet our friendly team, read our testimonials, or contact us today and find out about the Hansma service difference for yourself. We are open every weekday from 8 AM to 6 PM. Come see us at 88 Shoemaker St. in Kitchener, Ontario. Posted on January 18, 2019 by Hansma Marketing.